Philippines - November 2009 - Tau Science&apos;s IRIS system is an innovative, in-line screening tool capable of identifying cells with fatal shunt defects (hot spots). Customers can increase revenue and profits by identifying cells that are safe for assembly into modules even if the JV performance characteristics are poor and conversely avoid assembling cells into modules that are susceptible to field failure. 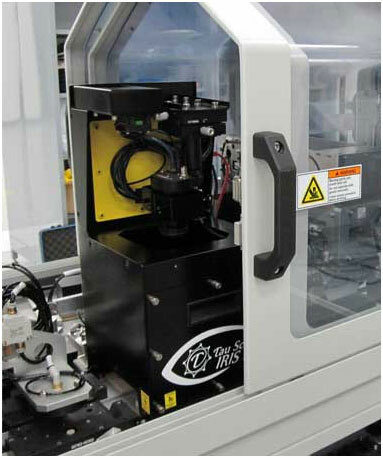 IRIS, exportable under ITAR, is designed to for integration into the cell manufacturing line. The IRIS system integrates a deep infrared camera and proprietary image processing algorithms to assess the shunt characteristics of the cell under reverse bias conditions. The analysis is controlled through a user configurable recipe with control limits that disposition the cell into Pass, Fail (or Marginal) bins in 1-2 seconds. By integrating the IRIS module into cell sorting equipment, cells can be identified and sorted out that have critical defects that may lead to overheating and module failure. This additional sorting criteria impacts the manufacturer&apos;s top line by identifying low shunt resistance cells which are unlikely to fail in the field (i.e. exhibit no overheating tendency) and can therefore be shipped as product. It further impacts the manufacturer&apos;s bottom line by conclusively identifying cells prone to field failure that should be scrapped.